Laura Lewis McCabe, of Millsboro, Delaware transitioned home on Tuesday, April 3, 2018 at the Delaware Hospice Center. She was 88 years of age. Laura was born on September 1, 1929, in Parsonsburg, Maryland to the late Ella Bratton and George Foskey. She attended grammar and elementary school in the Pittsville Public School system. She spent many of her younger years working vaccinating chickens, Aunt Minnie’s restaurant, Jack Gray’s grocery store and later the Acme supermarket, where she would retire as a cashier after 26 years. 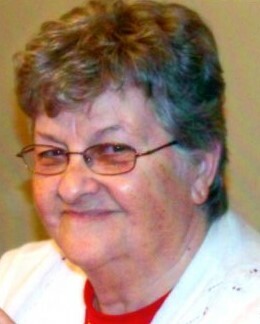 Laura loved her children and grandchildren; and would call her children each night. She will be remembered for her home cooked meals; she made a “mean” pie crust. She never met a stranger. Laura was indeed a hugger; she hugged everybody – didn’t like shaking hands. Laura was also known as wife, sister, mother and grandmother to several of the salt water cowboys. Laura was a faithful member of Hickory Hill Church United Methodist Church, Millsboro. She was also a member of the Lift Group. Laura loved Carrie Underwood’s rendition of “How Great Thy Art,” among other gospel hymns. In addition to her parents, she was preceded in death by one brother, George Foskey; one sister, Elizabeth Truitt and one grandson, Justin Lewis. She leaves to cherish her loving memory three children, Adrian Rayne of Willards, MD; David E. Lewis (Betty) of Snow Hill, MD and Teddy Lewis (Cheryl Lynn) of Gumboro, DE; one sister, Shirley Jackson of Laurel, DE; 10 grandchildren, 12 great-grandchildren and two great-great grandchildren; several nieces, nephews, cousins, extended family and friends. A Celebration of Life Service will be held on Saturday, April 14, 2018 at 12:00 PM, Watson Funeral Home, 211 S. Washington Street, Millsboro, DE. Friends and family may call for visitation and viewing from 11:00 AM to 12:00 PM. Interment will immediately follow at the Millsboro Cemetery.